April TTRPG Challenge Day 1: Who Are You? This looks not only fun but also neatly ties into a bunch of stuff I’m doing this month. So! Day 1! Growing up on the Isle Of Man, I was part of the first formalized Manx tabletop RPG club. We all took turns running things and playing. Some games worked. Some games didn’t. Some of the games I wrote worked. Some really didn’t. 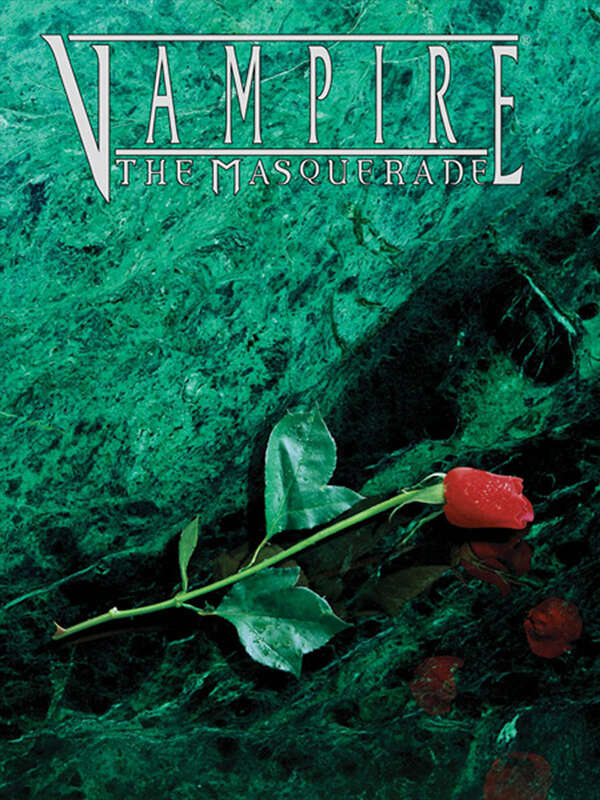 I’ve played, counting LARP, maybe 30 sessions of Vampire across the last two decades. So it’s effect on me wasn’t so much a structural or design one as it was press FAST FORWARD on my GM’ing and module writing skills. Half the club ended up in rolling long-form Vampire games. The other half needed a game. I had the West End Games D6 Star Wars. I stepped up. What followed was an extended period of GMing, both that and Cyberpunk 2020, that taught me threethings. The first was the importance of narrative structure and continuity, applying the nascent serial arcs model that shows like Babylon 5 were starting to pioneer to tabletop with tremendous effect. The second was that good narrative choice always ALWAYS beat bad rules choices. The third was I really love writing modules. Twenty or so years later, my drivethruprg landing page shows how well I’ve learned those lessons. I’m also about to launch my first ever self-created RPG with the amazing Jason Pitre of Genesis of Legend. But we’ll get to that later this month. So yeah, hi! I’m Alasdair. I’m a tabletop rpg writer and designer. Here’s my published work so far. If you want to talk to me about a project you’re hiring for, get in touch. Alternately, come say hi on Twitter and I’ll see you back here tomorrow. Previous ESCAPE POD IS A HUGO FINALIST!! 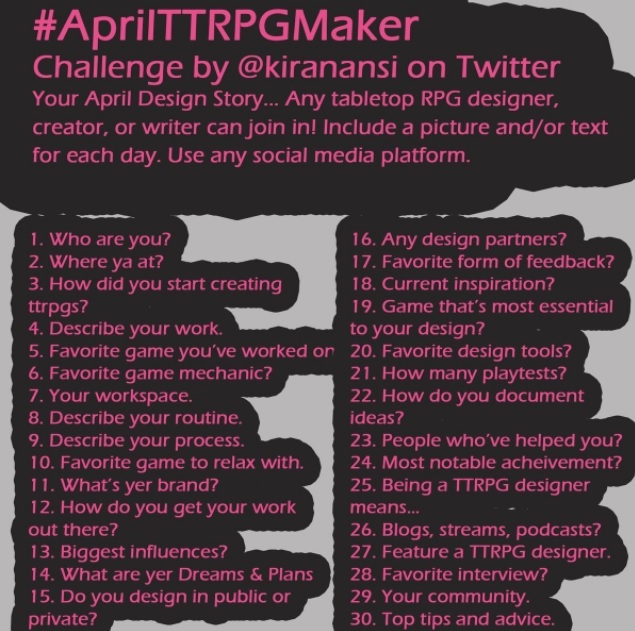 Next April TTRPG Challenge Day 2: Where Ya At?